Serving Size Dr. Pepper/seven Up, Inc.
A&w, Root Beer manufactured by Dr. Pepper/seven Up, Inc. with a suggested serving size of 1 CAN (480 ml) has a total of 230 calories. 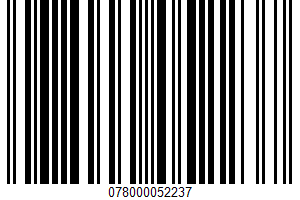 The manufacturer code of A&w, Root Beer is UPC: 078000052237. This product is high in sugars. A&w, Root Beer is a low fat food because it contains less than 3 grams of fat per serving. A serving of 1 CAN (480 ml) of a&w, root beer has 1152% of the recommended daily intake of sugars. How long would it take to burn off Dr. Pepper/seven Up, Inc. A&w, Root Beer with 230 calories?